". . .schools want keyboards and lower price tags." I recently met with a 2nd grade teacher who was so happy one of the tools we were talking about gave her access to a black line master so her students could practice gripping and using crayons. She expressed concern about her students' lack of hand strength as well as how far behind they seem to be with developing fine motor skills. Apple faces more challenges than the price of the iPad. Sure, plenty of teachers embrace Google Classroom and Chromebooks. They like that Chromebooks have keyboards. They hate that Chromebooks don't have any memory but that's an easy fix with a handful of flash drives. They don't like that Chromebooks don't have bidirectional cameras so recording some things is nearly impossible. I know of teachers who have a few older iPads in their classrooms solely because of the cameras. They have no idea what apps are on those iPads or the last time anything was updated because they use them only for their cameras. Teachers remark how easy it is to upload videos to their Google Drives. Their students know how to navigate the Google waffle and work with confidence in Google docs and Google slides. In fact, yes, the most popular corporate reference in classrooms is Google. 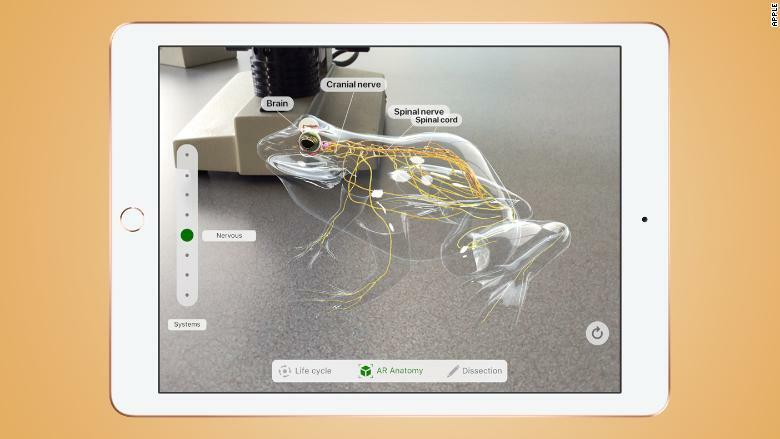 Most of the teachers I get to work with embrace technology and the use of digital tools and resources; however, even some of their students want and need access to paper for various reasons, including the connection they can make with their annotations. But kids also really, really, REALLY dig hands-on activities. Completely low-tech. Even a silly tic-tac-toe variation that require them to test each others' knowledge and complete a hand-drawn game board with a writing utensil. When I visit classrooms and get to watch kids, I notice that they go through the motions of most educational "games." I'm convinced most of them aren't really learning very much, in spite of the so-called adaptive nature of those games. They are required to spend a certain amount of time on those games, so they fire them up on their iPads and tap the screen, resetting games when they need, and when time is up they aren't reluctant to put the iPads away. Now that does depend on the app. I've seen kids completely lost in Lightbot or Geoboard. But I've also seen kids put down the iPad and ask to use the classroom desktop (!!) to go to code.org or scratch.mit.edu rather than mess with the iPad to use Swift Playgrounds. When I ask kids about that, I usually get a non-committal shrug and occasionally might get a response like, "It's just easier on a computer." Press them a little and students prefer a keyboard and they prefer that they can see what they're doing better. 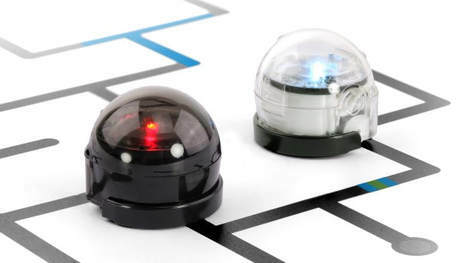 I've also seen kids lost in Blockly while playing with Dash and Dot, or Ozoblockly while experimenting with their Ozobots, though a lot of kids seem to prefer coding Ozobots with their color coding. 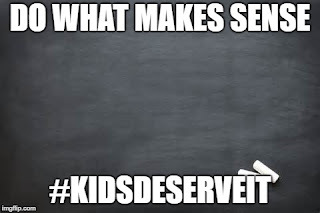 I know that districts tend to try to adopt the one thing they think might make a difference in whatever their district-specific goals might be. I know that Chromebooks are a slightly lesser expense, though carts plus other attendant needs ratchet up the costs. It seems that kids prefer Chromebooks or some sort of laptop to an iPad, but that also depends on to what resources and tools they've been exposed. I know for a fact that no one tool is going to make a difference in student test scores or students achieving certain learning objectives, but I also know for a fact that students need to use digital and non-digital tools to become successful learners, to learn how to learn. Though I do a lot of workshops about technology integration and though I introduce teachers to a wide range of resources and tools, I also talk about balance and the importance of doing what makes the most sense for specific learning objectives and for specific students. As teachers embrace transdisciplinary teaching and learning, the use of stations, the use of technological resources for students to create and construct their own learning, they are less enamored of digital tools that simply take their students through a series of activities. 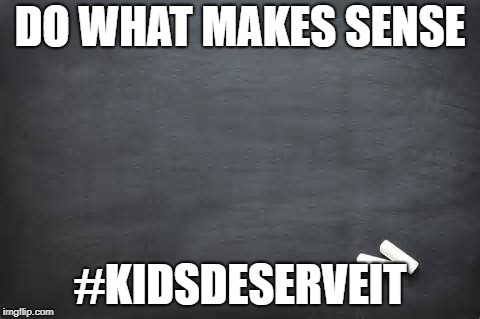 They won't drop those any time soon and not just because of school and district investment. They will continue to try to use those apps and web sites for the students who need that kind of repetitive and focused learning experience. Apple is not alone in this challenge of teachers and students who are choosing to do what makes the most sense to be in successful in their learning, to find balance to meet needs for learning across the spectrums for physical, emotional, and mental development and growth. As long as teachers have some choice in how they provide learning opportunities for students--and in offering their students some choice, students will continue to benefit. After all, it's all about the students and their learning.